I was visiting the Clarion-Ledger online newspaper High School sports page and noticed a request for High School coaches, statisticians or whoever involved with the basketball team to submit team schedules and rosters. The NBA preseason wrapped up last night with a handful of games around the country. With that said, Complex decided to take a look at the Top 50 sneakers that hit the hardwood before things get official. Here is the Top 5. 1. Air Jordan Retro XI "Bred"
2. Air Jordan Retro XI "Concords"
4. Air Jordan Retro IV "Black Cats"
5. Air Jordan Retro XII "Playoffs"
Chamique Holdsclaw and I have a special connection that only a few people know about. The connection happened during my sophomore year of college. I don't believe I have ever spoken publicly about this. Chamique probably don't even remember this because she is "Chamique Holdsclaw". Chamique is the reason for my one and only ESPN highlight. I was going up for a lay up and out of no where-- Chamique blocked my shot. When my teammates saw that on ESPN, you know they teased me. Oh well, when I read that Chamique had written a book about her life and her struggles with depression, I had to get it. She entered Tennessee as a freshman the same year I entered at Memphis. This was the time frame Tennessee Lady Vols basketball team was on fire winning back-to-back-to-back national championships. So getting this book meant I could learn what was going on behind the scenes at the college program. Boy did I learn so much more. I learned just how much Chamique Holdsclaw and I related and how she went from a New York kid living in the projects to a super star at Tennessee and the WNBA and then disappearing from the scene and why. This is an AWESOME book for every girls basketball player, fan, and coach! What is a walk-on? A walk-on is a rostered player, who does not receive an athletic scholarship freshman year. A tryout is typically involved once on campus as well. What is a recruited/preferred walk-on? A recruited/preferred walk-on is a commonly used term for an athlete who is recruited by a college coach, but is not offered an athletic scholarship freshman year. These athletes typically have a lot of communication with the coaching staff and are usually offered a roster spot before tryouts. University of Memphis women's basketball head coach Melissa McFerrin appeared on FOX13's Good Morning Memphis today. McFerrin talked about the Fastbreak Club's annual benefit for the team, the Heels and Hoops Gala presented by Evolve Bank & Trust on Saturday night as well as the team's upcoming season. The Tigers play an exhibition against Rhodes College on November 3 before starting the season at home against Grambling State on November 9 in the Preseason WNIT. The Heels and Hoops Gala is scheduled for Saturday, October 27th at the Holiday Inn on the University of Memphis campus. The event will begin at 7:30 p.m. and entertainment will be provided by The Fabulous Steeler Band. Activities for the evening include a silent wine auction, door prizes and a skit performed by the women's basketball players. Tickets for the event can be Purchased Online Here . Tickets are $100 per person (or $50 per person for Fast Break Club members), or a table for 10 can be purchased for $1,000. Proceeds from the evening benefits the University of Memphis women's basketball program. Previous proceeds paid for the team's trip to Italy in August of 2011 and have assisted in the renovation of the locker room area in the Elma Roane Fieldhouse. Future proceeds will assist with the phase two renovations in the Elma Roane Fieldhouse's strength and conditioning and athletic training facilities, which will begin this fall. For more information on the event, please contact the women's basketball office at 901-678-4532. 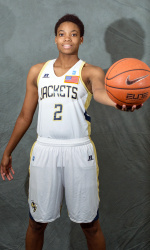 Aaliyah Whiteside is a six foot wing player from Memphis Central High School Memphis, Tenn. She played four years of basketball under head coach Niki Bray and was a two-time team captain. Whiteside led her team to a 39-9 record and the TSSAA AAA State Championship in 2011, which she lists as her best sports memory. She was selected to the 2009 and 2011 Tennessee Sports Writers Association Class AAA All-State teams and earned MVP honors of the 2011 TSSAA Regional Tournament. Whiteside began playing basketball at age seven while living in Greenville, S.C. She was ranked No. 24 nationally in the class of 2012 by ESPN HoopGurlz and was rated as the fourth-best wing player in the class. Whiteside earned Women's Basketball Coaches Association honorable mention All-America in 2012. Should you send back every Questionnaire you Receive from a Womens College Basketball Coach? The more you play basketball in front of college coaches. The more opportunities you have to start receiving letters in the mail from them. One of the first pieces of mail you receive is a Prospective Student Athlete Questionnaire. The second Fall Exposure League featured over 50 players from Tennessee, Mississippi, Arkansas, and even Alabama. It was a great environment for basketball players to get a jump start on the 2012-13 season. UConn finished the league undefeated going 4-0. The team members were Kyra Pryor (Schilling Farms, 2017, not pictured), Amber Holmes (Overton, 2014, not pictured ), Katie Conner (St. Agnes, 2013), Karneisha Trent (Wooddale, 2014), Rachelle Parks (Middleton, 2015), Deja Faulkner (Middleton, 2015), Chrishona Reddix (Olive Branch, 2016), Tatiana Love (St. Agnes, 2015), Kaylan Pugh (St. Mary's, 2015, not pictured ) and Jayla Hemingway (Schilling Farms, 2019, not pictured ). It was hard to not notice her and the energy she plays with. She was always around the basketball - getting rebounds, making plays to score and getting to the free throw line. Jamie Crum is an 8th grade point guard for MHEA. She averaged 11 points with a game high of 19 during week 3. Three of the most exciting players to watch during the league all come from the same summer travel team, Team Memphis Elite-Holmes. All are juniors and all consistently play at a high level. A'Queen Hayes and Olivia Cunningham are dynamic duo guards from Southaven (MS). They play at a fast pace up the floor and off the floor as they jump up for rebounds, loose balls and deflections. Both are ball handlers, have 3 point range and can easily get by defenders to make buckets in the paint. A'Queen averaged 16.5 points during the league and Olivia averaged 18. Karneisha Trent at 5'9 is listed as a forward for Wooddale, however, she displayed during the league that transitioning to the guard position should not be a problem. She is one of the most athletic and agile players with abilities to slash and maneuver through traffic. She has a nice stroke and can make the 3 point shot. She averaged 15.5 points per game. It wasn't long after Arlington's loss in the TSSAA Class AAA sectionals last March that point guard Ariel Hearn began preparing for her career at the University of Memphis. Her father, Sultaire Hearn, told her she needed to bulk up to handle the rigors of college basketball. So Hearn immediately jumped in the weight room. "I started lifting weights on my own and I gained a couple of pounds," Hearn said. She wasn't alone. The Tigers' five freshmen all reported to campus this summer in shape and prepared to handle whatever strength and conditioning coach Mike Jenkins threw at them. "All of them pretty much came in every day for the voluntary 6:30 a.m. workout and really worked hard all summer," Jenkins said. "The new girls I'm really excited about because they're a good, hardworking crew. This is the best, hardest-working group of ladies that we've had since we've been here, for sure. They show up on time, and they work hard and have put themselves in position to where they're going to do well on the court." Vanderbilt: Kristen Gaffney's turn as the countdown to basketball season hits 24 days. Vanderbilt: A look at senior guard Gabby Smith's time volunteering at the Monroe Carell Jr. Children's Hospital at Vanderbilt. The Southaven girls basketball program has never signed an athlete to a Division I scholarship. That will change on Nov. 15 when the senior frontcourt of JoAnna Smith, Aliyahh Miller and Jasmine Joyner sign letter of intent with various programs across the country on the first signing period of the year. The senior trio along with talented junior guards Olivia Cunningham and Queen Hayes give the Lady Chargers five Division I prospects as they begin the season favorites to win the 6A state title a year after a 29-3 season that ended in the state semi-final in Jackson. Camille Norwood has been coaching for over 3 years. She has coached middle school and high school at Power Center Academy Charter school. But this past summer, she decided to do her own thing and created Memphis Dream. Memphis Dream kicked off its first summer with a seventh grade and eight grade team. Memphis Dream traveled through out the south and not only competed but won. Check out the pictures and tournament finishes below. Houston: Porsche Landry: "New Number, New Start"
Oklahoma: Coale: Who Will We Become? The University of Memphis' Athletic Department has teamed up with Memphis City Schools and The Booksellers at Laurelwood for a "Bring It" Book Drive, which will run Oct. 15-31. Donors may give new or gently used books suitable for children in grades K-8. The goal is to collect 10,000 books. All books collected will be donated to seven Memphis City Schools deemed "Innovation Zone" schools. These are schools with limited resources that are identified as needing help to succeed at a higher level. They include Hamilton Middle, Magnolia Elementary, Fairley Elementary, Geeter Middle, Ford Road Elementary, Chickasaw Middle, and Lucie E. Campbell Elementary. Books can be dropped off at two sites: the Athletic Ticket Office, located in the Penny Hardaway Hall of Fame at 570 Normal Ave., and at Booksellers at Laurelwood at 387 Perkins Extended. The store will provide a 20 percent discount on any book purchased specifically for the book drive. "Our student-athletes have done an incredible job of giving back to the Memphis community this past year with over 2,500 service hours," said Kristin Rusboldt, coordinator of Student-Athlete Development at the U of M. "Last year, at some of our athletic events, they collected over 1,000 books. This year, we wanted to do so much more. "We are really excited about this goal. We think that, with the help of the Memphis community, we can collect 10,000 books, maybe even more. We all have books sitting around, and this is a great way to clear some shelf space and help a great cause." Miska Clay Bibbs, coordinator of Community and Volunteer Relations for Memphis City Schools, also expressed appreciation for the partnership with the PAWS (Preparing Athletes for Winning Success) program. "The partnership between the University of Memphis Athletic Department and Memphis City Schools is a great example of the kind of community involvement that helps push the future leaders of Memphis forward," said Bibbs. Details are available from Kristin Rusboldt at 901-678-2388 or khopkins@memphis.edu. For two straight seasons, University of Memphis women's basketball coach Melissa McFerrin knew who she was working with before the season began. She knew she had one of Conference USA's best in guard Brittany Carter, the Tigers' undisputed go-to player. 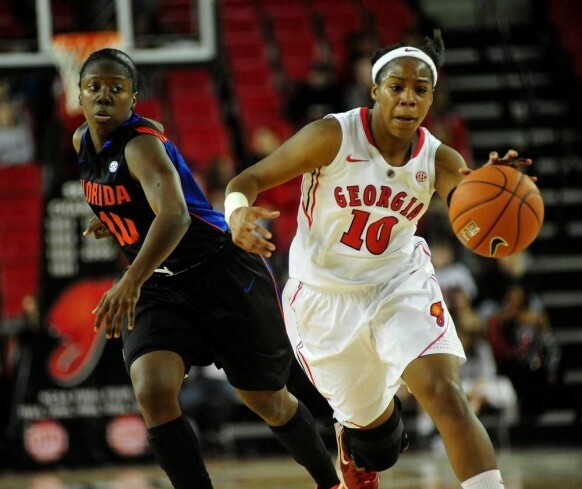 McFerrin also had one of the league's top post players in Jasmine Lee, last season's C-USA Player of the Year. And there was defensive specialist Ramses Lonlack. With those key players departed, McFerrin finds herself in the unfamiliar position. The Tigers' roster features eight newcomers, including five freshmen. "I liken this to three years ago when we really didn't know what we had," McFerrin said. "As coaches, it's our job to figure out how to put it all together and help this team be as successful as we possibly can." The Tigers are coming off their third consecutive 20-win season and a third straight trip to the postseason. But if those streaks are to continue, it will be with the help of a vastly different cast of players. According to an email from her travel team coach, Eric Daniels, Ridgeway Senior Odequa Ogiboke (Memphis Elite-Daniels) has verbally committed to Old Dominion University. Received an email from Southaven Senior, Aliyah Miller (Memphis Elite-Daniels), she has verbally committed to Providence College. Aliyah also considered Jacksonville State University, Eastern Kentucky University and University of Southern Mississippi. Received an email from Millington Senior, Tiara Caldwell (Memphis Elite-Daniels), she has verbally committed to University Tennessee at Martin. Received an email from Overton's Senior Kelsey Briggs (Memphis Elite-Daniels), she has verbally committed to Georgetown University. I have recently made my decision to verbally commit to Georgetown University Women's Basketball program. I am so excited to play for Coach Keith Brown, his staff and with my future teammates. I have made this decision after officially visiting Georgetown University. In addition, I considered and officially visited Saint John's University, University Miami. I considered offers from University Texas and Syracuse University. But I decided on Georgetown. because of the great academics, excitement around the program, what the coaching staff and players believe we can do during my 4 years. Georgetown University, I feel is a great fit for me as a student/athlete. This Saturday, October 13, is the last day of the Fall Exposure League. The league has served as a preview of the talented Memphis players and who to watch during this upcoming season. Check out this game from last week - a great come from behind thriller between Maryland and UConn.. According to her basketball trainer, Jmalo Torriel, Southaven guard Joanna Smith, has committed to the Buffalo womens basketball program. She choose Buffalo over Southern Illinois and Providence. Here is footage of Joanna Smith participating in the 2011 Pre-Season Show Off Camp. Preseason practice for James’ senior year began last week. This time, the senior guard hopes she can manage to pull through without a bite from the injury bug. Baylor: Selected for fourth consecutive year and fifth time overall. Arizona: Calamity McEntire enters her first year as an assistant coach for the Arizona women's basketball team. Another Exciting Day of Basketball! The match ups were competitive. The atmosphere and fan support was great. This is Memphis Girls Basketball! It's great to see Madison Luckett back on the court. My first introduction to Madison was in the Inaugural Pre-Season Show Off Camp in 2009. My evaluation of her was "can not be left open because she is automatic from short range". She is a 6'1 forward at St. Benedict and still automatic scoring 7 points this week. Last November, during the third game of the season, she injured her knee (ACL) forcing her to miss the rest of her junior year. As they say, sheeee baaaack! She participated with her summer travel team (Team Memphis Elite-Daniels) during July and now using the Fall Exposure League to further her conditioning for the high school season. Madison is already academically qualified with a 20 ACT score and working hard to be able to play at the next level. Welcome back, Madison! The Fall Exposure League is quite unique. In the Week 1 recap, I mentioned the variety of players participating from public schools, private schools and even home schooled. The league is also unique for the amount of siblings participating. Last season, the league had two sets of twins with Briarcrest sophomores Elise & Brynn Holden and Germantown sophomores Breanna & Brittany Cowans. Read the story here. Both sets of twins are back participating in the league this year with a season of high school basketball and another summer of travel basketball experience. Their growth and maturity as players is showing. This season 2 sets of sisters have joined the league also. We have guard Sydney Malone, 9th grader at Houston High, and Jasmine Malone, an 8th grader at Schilling Farms. Sydney Malone had a great first week performance scoring 14 points in a variety of ways - running the floor for layups, off short jumpers, stick backs after rebounding. Little sister, Jasmine is an unafraid developing point guard who can score if left open. Before it's all over, the parents of MHEA guards Victoria "Torri" Lewis and Gabriella "Gigi" Lewis will probably get to know quite a few college coaches. Torri Lewis is already on the ESPN Hoopgurlz Watch list for 2015 class and well known nationally as a college prospect. She has such swagger in her game and she travels with her own basketball. She is a good ball handler with deceptive 1on1 moves and has great court awareness. And don't leave her open because she is draining the outside shot. By the way, Gigi is a 7th grader and you don't want to leave her open either. You may want to add Gigi Lewis to your watch list for 2018. St. Mary's Kaylan Pugh is a prolific scorer. She scored 45 points in a game as an eighth grader with the varsity team and scored 47 as a freshman in addition to scoring over 30 points multiple times each year. This young lady already has a strong college ready body at 5'10. She is extremely versatile with the abilities to run point and strong enough to post up in paint. She loves to use moves to get into the paint for easy buckets where she is strong enough to take contact, make the shot and get to the line. Only a sophomore. I'm eager to watch her development of the next couple of years. The Fall Exposure League gives players an opportunity for extra conditioning in game situations, to display new skills developed during the off season and of course--bragging rights. The first thing is definitely displayed in the Week 2 Games of the Week. Ariel Hearn is hilarious in this behind the scene look at Memphis Lady Tigers 2012-13 season photo shoot. Baylor: Brittney Griner - Preseason Player of the Year; Alexis Prince - Freshman of the Year. Two days into the month of October, a new-look LSU women's basketball team took the floor on Tuesday as second-year head coach Nikki Caldwell put the Lady Tigers through their first official practice of the season in the Pete Maravich Assembly Center. The two-hour practice featured up-tempo drills and was the first college practice for three true freshmen - Danielle Ballard (Central), Kuaneshia "Coco" Baker and Derreyal Youngblood. NCAA legislation adopted in 2010 allows schools to begin women's basketball practice 40 days prior to the start of the regular season. Wagner: Summer Bonding Unifies Women's Basketball As Practice Begins Wed. Play Day this Saturday, October 6 at Germantown High.